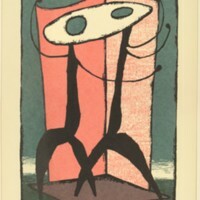 Woodblock print of a Japanese scene. Main colors are green and blue with red. Shows rolling hills, water, bridges, people, trees. Titled "Open Garden at Fukagawa Hachiman Shrine, No. 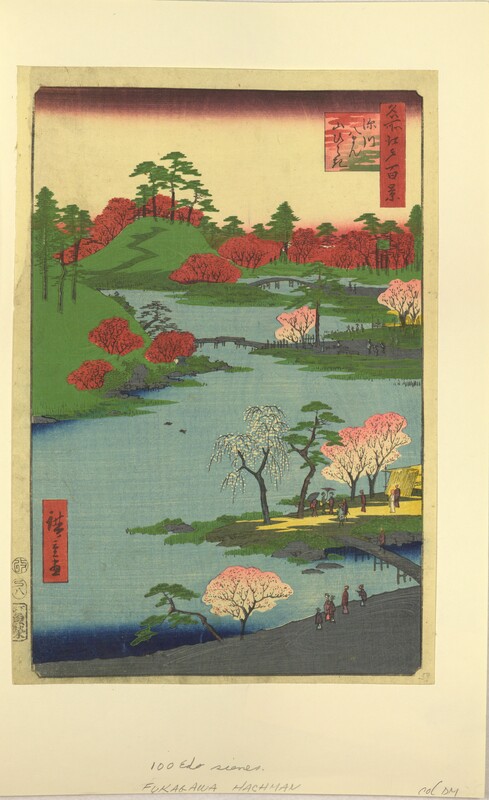 68 from One Hundred Famous Views of Edo"
Hiroshige, Utagawa (Ando) , “Open Garden at Fukagawa Hachiman Shrine, No. 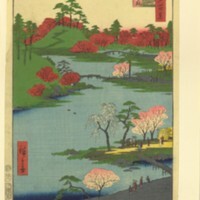 68 from One Hundred Famous Views of Edo,” Digital Exhibits, accessed April 22, 2019, https://cuexhibits.wrlc.org/items/show/218.